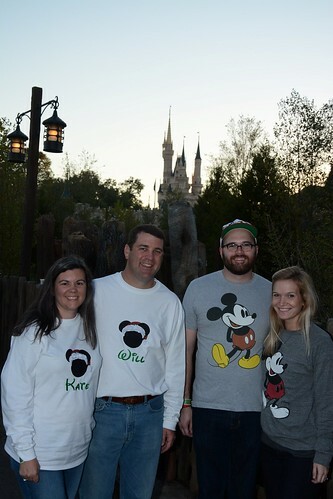 In November, Will and Timmy attended a conference on church revitalization in Orlando, Florida. 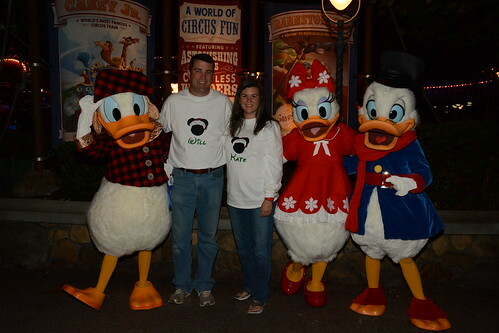 After the conference was over, Maggie Bea and I flew down to meet them for a quick visit to Disney. 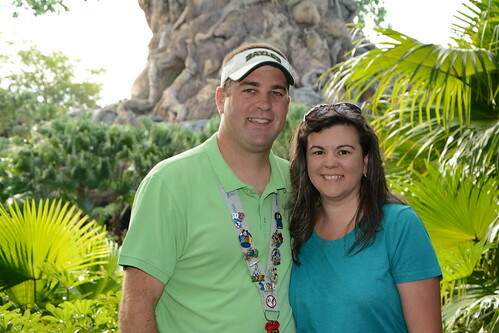 We love going with our kids, but we also have a blast, people watching, riding rides, and eating our way through Disney World with just the two of us. 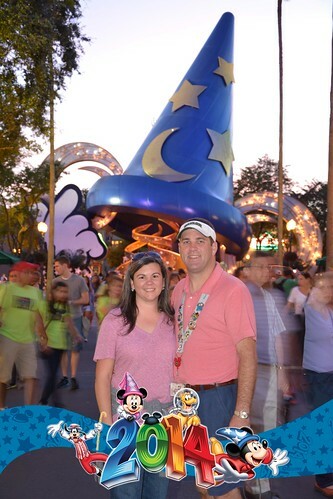 We went to Hollywood Studios first. 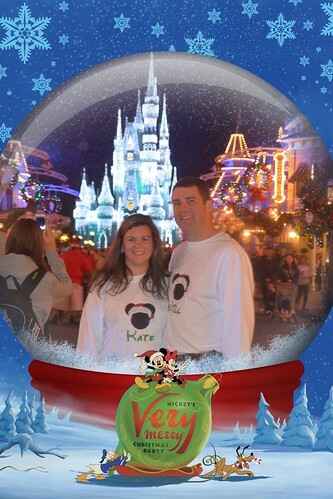 It’s always fun to do something new at Disney World since they are always adding new things and changing shows and parades. We found the new Frozen play area for the kiddos. 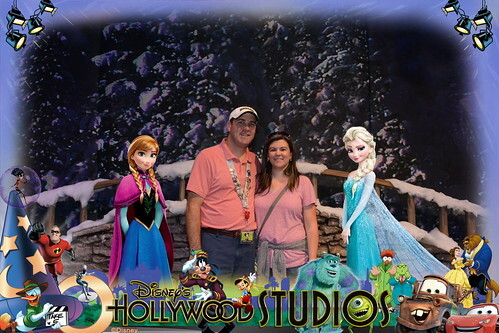 We didn’t play in the snow/ice but we did take a picture in front of a new backdrop with Anna and Elsa. 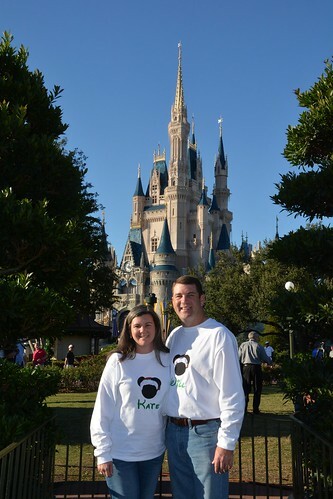 The next day we went to Animal Kingdom to do a couple of favorite things. 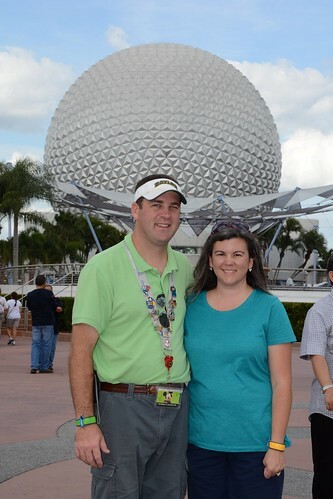 After that, we hopped on over to EPCOT. 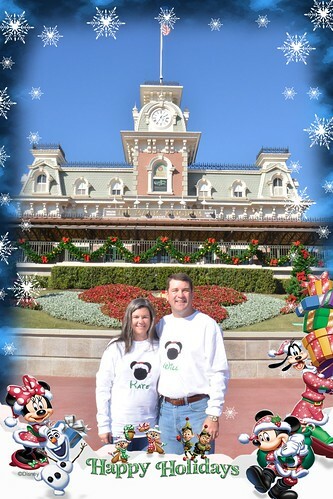 The next day we went to the Magic Kingdom. 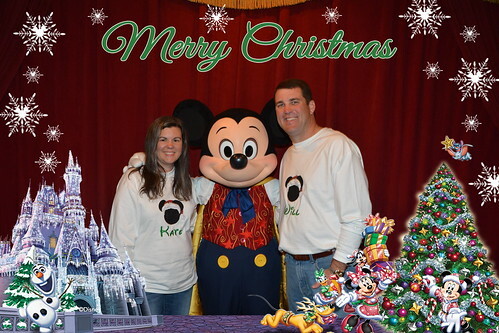 We also decided to attend Mickey’s Very Merry Christmas Party since we have never been before. 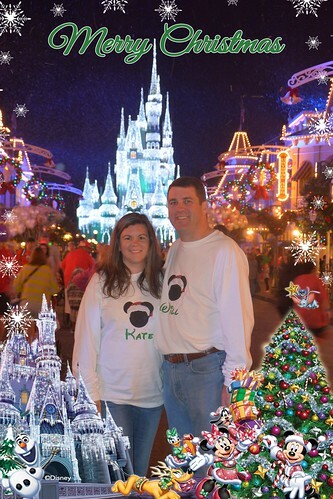 I even made matching shirts for us. 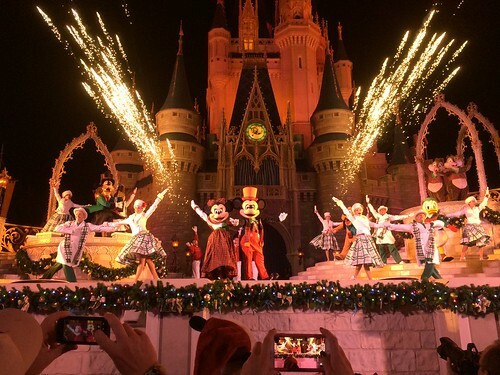 The Christmas party has special snacks, stage shows, fireworks and parades. 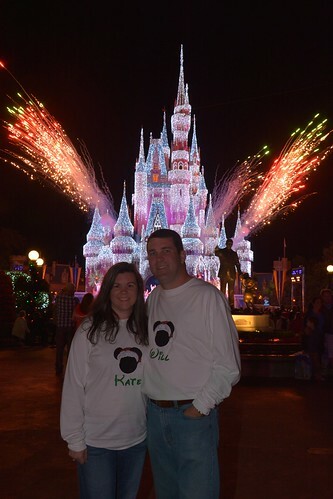 We had great viewing for the Christmas show that they do on the castle stage. The Christmas party also gives you opportunities to meet some different characters. Our first time meeting Scrooge McDuck. Had to wait a very long time to meet these guys. 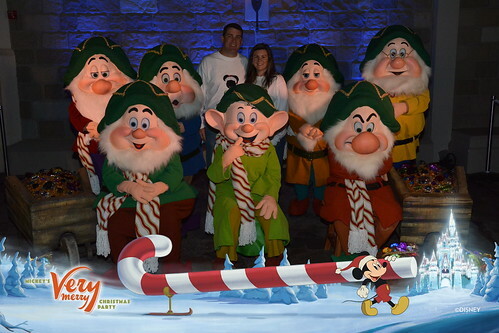 But we wanted to see all Seven Dwarfs together so we just had to. 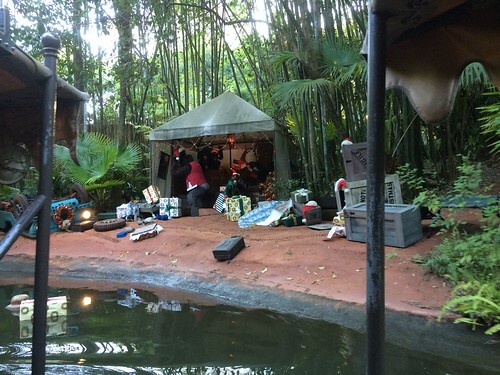 At Christmas they also decked out the Jungle Cruise to make it the Jingle Cruise. This picture looks so grainy because it is ‘snowing’ on Main Street. We did miss our kids, but I don’t think they missed us very much. They were very happy to stay here with Grandma and play.